Lamazuna Natural Deodorant Bar. A vegan natural deodorant bar, homemade in France and made with organic essential oils. It is very effective and an excellent choice for people wanting to avoid the nasty ingredients you find in mainstream deodorant. Plastic-free and natural. Lamazuna Natural Deodorant Bar. 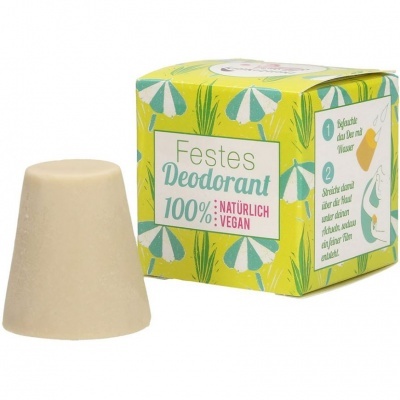 This vegan natural deodorant bar is homemade in France and made with organic essential oils. It is very effective and an excellent choice for people wanting to avoid the nasty ingredients you find in mainstream deodorant. This solid deodorant contains no aluminium, no alcohol, no BPAs and is made with organic coconut oil.